If you keep up with the entertainment trade papers, you might have some familiarity with intellectual property and artists’ rights. This has been a very hot topic for years, especially today, with the downfall of money-making for movie, music, and video game companies. Creative types that make the things we like have often fallen victim to bad deals, winding up penniless after years of hard work. In other cases, performers have tied their earnings up in a string of investments, and neither they nor their families can untangle them later to get the royalties, with Marc Bolan of T-Rex being one classic example. Today, there’s often no money at all for creative material. It’s been pirated, and it sits on the Web in a bunch of different spaces, free for usage. In all these scenarios, one gets the sense that entertainers are primed to get caught up in webs of business disorganization. Not being savvy with business practices, they often fall victim to silly schemes and bad management practices. But, it’s not just the singers, writers, and designers that get caught up. Today’s digital business pro can, too. Without good business organization, a modern online company can lose money or fail completely if it gets caught in a web of disorganization. In online business, it’s easy to allow your search engine optimization (SEO) techniques to get caught up in a disorganized arrangement. The Internet is a black hole of endless landscapes, with no real semblance of layout. One can create a web site, use it for business purposes, and be good at SEO methods. But, later on, there can be confusion, and an overcomplicated cyberspace network that cannot be unraveled. With SEO techniques, digital business pros have to pay close attention to interlinking. That is the building of links that take clients from one page on your web site to another. Obviously, you should be aware of how to make them link properly and ensure that they function all the time. But, you should also note WHERE these links occur. Too often, business pros go crazy with link building, spreading links across the Internet in some bizarre off-page SEO that has no real rhyme or reason in design. There’s a good chance that these off-page SEO techniques will bring about more client traffic to your web site, and perhaps some more sales of your product(s). But, the fees that might be incurred from this will outweigh the revenue generated. When doing your interlinking, note where you are placing your links, how much traffic is being generated from them from observing your analytics, and the costs for which you are shelling out. Keeping a well-diagrammed or documented interlinking scheme will let you see up close where clients are coming from, and help you save some money. Depending on the size of your business, your SEO techniques can be small and self-manageable, or large and hard to manage. If you find you need to go big with your SEO plans, but don’t have the ability to organize and manage it yourself, get some help. There’s no shame in getting someone else to keep you organized, and seeking out an SEO pro can facilitate this. 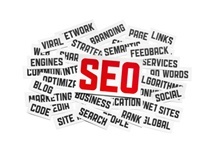 A lot of today’s SEO firms and agencies assist small business clients in their SEO organization. With a good SEO pro helping you out, you can adopt a detailed, profitable SEO method that will allow to you expand across the Web. If organization is a skill and you seem to lack it, getting a little help in the process can keep your SEO plan running smoothly.